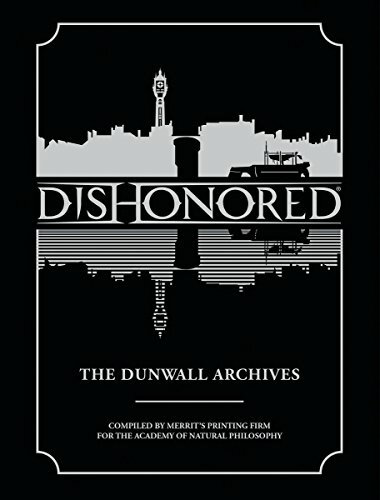 Dishonored: The Dunwall Archives is a nice companion book that adds to the story of Dishonored through excerpts gathered from individuals from Dunwall and other sources. The book's a hardcover somewhere between A4 and A5 size. The 212 pages are filled with a mixture of artworks and text. The excerpts could be stuff like lyrics to the songs sang by sailors, dialogue from a theatre plays, observations from travelers' journals, Overseer's findings, etc. All these provide pieces of information that adds to the world created by the game. You'll be able to learn more about certain people, government officials, the Empress, Rat Plague, whaling or even how to operate a butcher's saw. Basically, you get a different perspective of how things are, the other side of the story as told from various sources. The artworks are wonderful. Unfortunately, there isn't a dedicated artbook for the game, so you'll have to make do with the selected pieces of artworks included in this book, which are mostly full coloured concept art. It's an interesting book of art and fiction of Dunwall by Arkane Studios and Bethesda Softworks. Recommended to Dishonored fans.